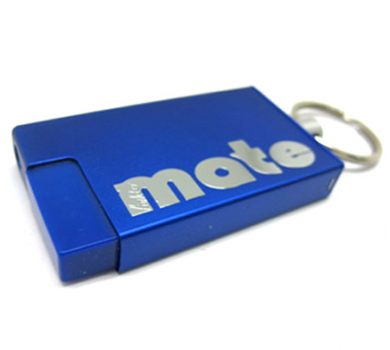 The Lighter Mate is the world's first magnetic lighter. The lighter itself has two magnets inside to stick to any magnetized surface, but also included is a magnet plate that is the exact size of the lighter, so you can have the lighter stick anywhere, like your pack of smokes. The anodized aluminum design ensures that no matter how long the flame is lit it will not heat up and will remain cool to the touch. The Lighter Mate is good for over 1,000 lights before the butane runs out, but once it does the Lighter Mate is completely refillable. On the bottom of the Lighter Mate is a magnetized keychain as well, so you can always clip it right to your keys with this easy pull in and pull out keychain attachment. You may have had many refillable lighters in the past, but how many times did you refill them before you lost it or broke it? 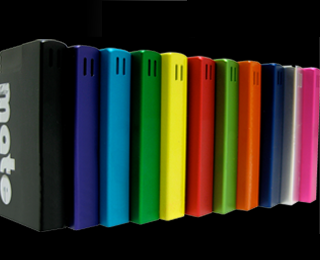 Stop messing around with cheap lighters you misplace and pick up a Lighter Mate in one of the many colors available to fit your style.